With the spring thaw upon us, bears are awakening from their long slumber, and these ultra-smart animals sure do some silly stuff. 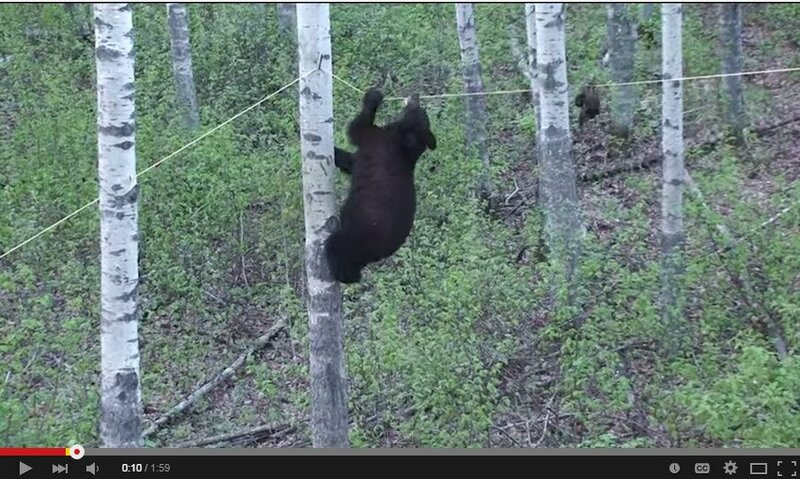 We scoured the internet for the most hilarious bear videos we could find. In this next clip from Bärengraben Park in Bern, Switzerland, a mama grizzly bear tries to retrieve a five-month-old cub from a flimsy tree branch. After trying various methods, the results are hilarious. A unique choice in audio sampling makes all the difference in this next clip from Parc Omega, Quebec that depicts bears poll dancing. Yep… poll dancing, though G-rated. Bears have been known to take a dip in neighborhood swimming pools. Who can blame them? It’s hot and they have a thick coat. This woman’s reaction, however, to a pair of bear cubs having a go at her backyard pool is priceless. previous articleHow Fish See: Does Color Really Matter?